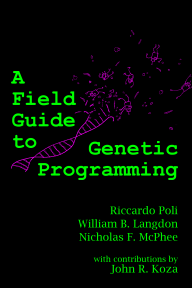 A Field Guide to Genetic Programming: Bill Langdon receives prestigious EvoStar award! On Thursday night at the EvoStar banquet in Naples, Bill Langdon (along with Marc Schoenauer) were the fourth and fifth recipients of the prestigious EvoStar award for Outstanding Contributions to the field of Evolutionary Computation in Europe. This is in recognition of his numerous contributions in such areas as the planning and running of conferences and workshops, editing of journals and proceedings, and creation and management of key resources such as the GP Bibliography. The previous recipients of the award include Field Guide author Riccardo Poli, as well as Jennifer Willies (the indefatigable admin that makes EvoStar happen year after year) and Wolfgang Banzhaf. Congratulations to Bill - well done and well deserved! I'll shortly be posting photos of Bill receiving his award.